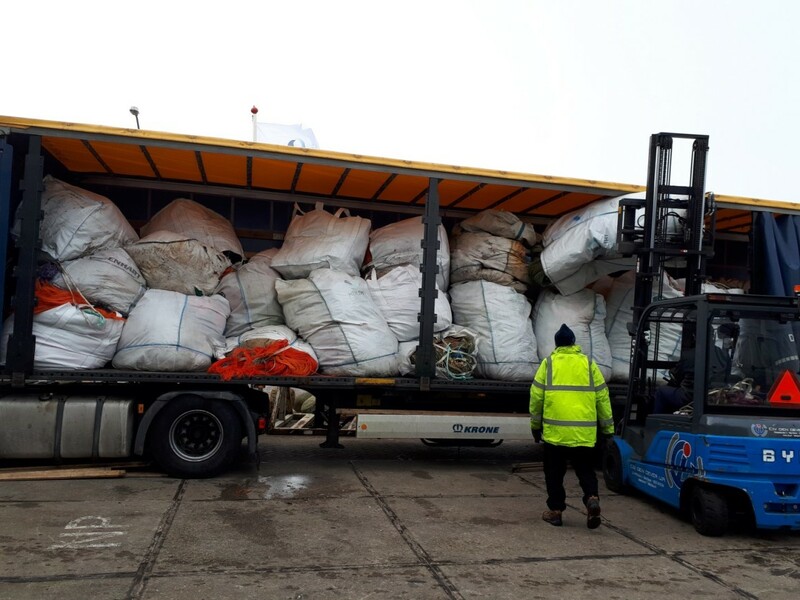 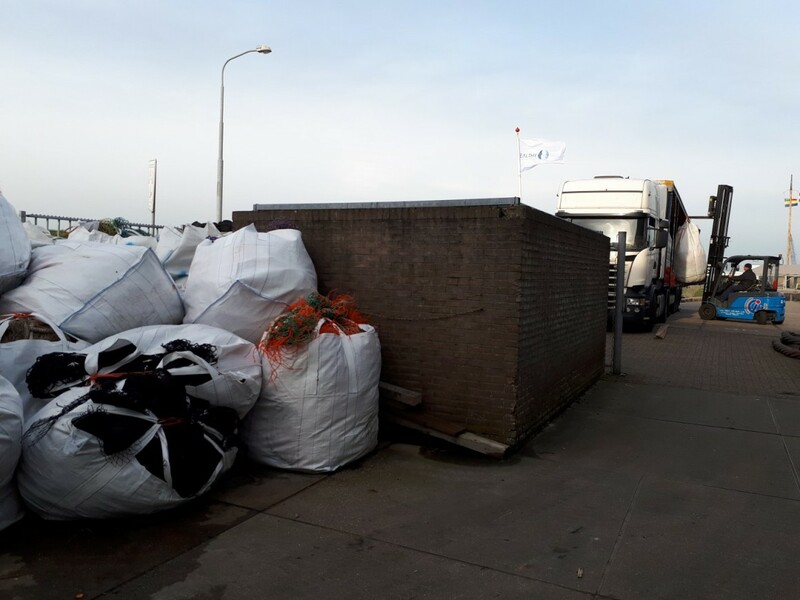 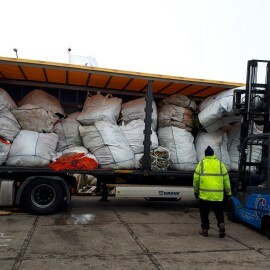 Yesterday about 12 tons of waste fishing nets were transported to recycling from the Netherlands, thanks to the fishermen in Den Oever. 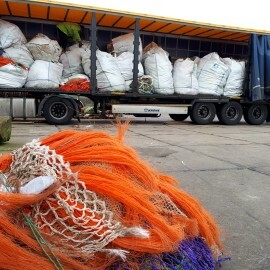 Healthy Seas is collecting waste fishing nets from Den Oever since the start of our initiative in 2013. 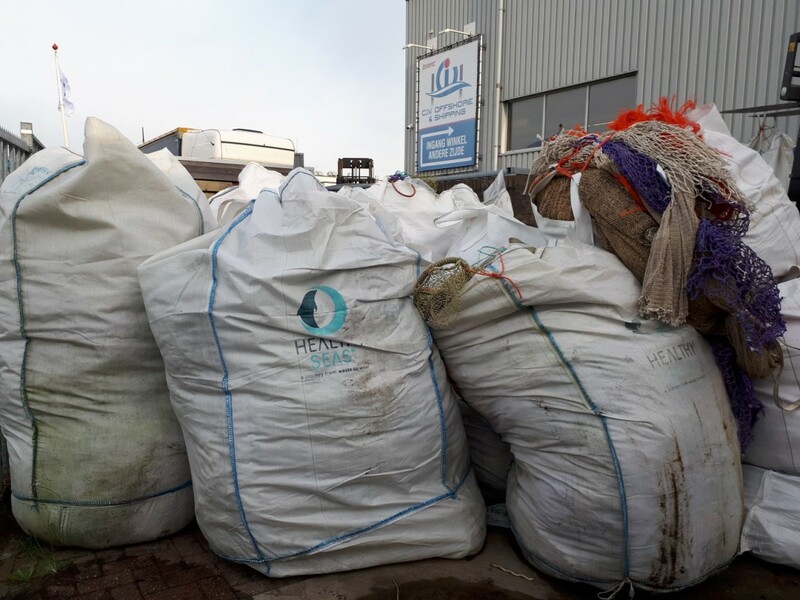 Until today about 74 tons of old fishing nets have been collected by these fishermen in order to create healthier seas and recycle marine litter into textile products. 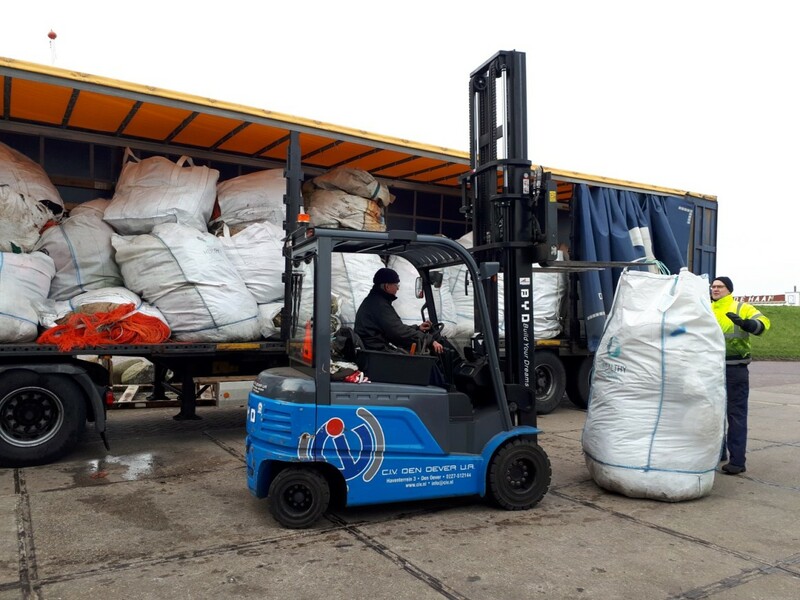 The shipment was organized by our partner NOFIR. 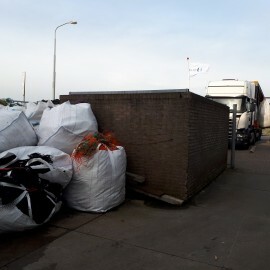 The company is taking care of the transport, cleaning and sorting of the nets. 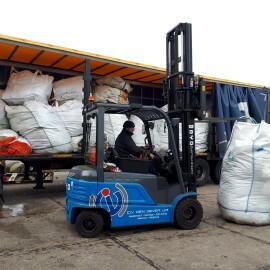 Later on, the nylon 6 nets will arrive to Slovenia where they will be transformed and regenerated into ECONYL® yarn, a high-quality raw material used to create new products, such as socks, swimwear, underwear and carpets. 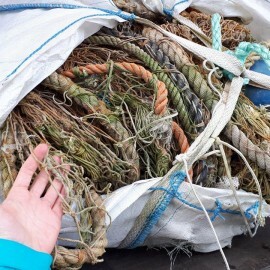 Healthy Seas applies a two-way approach in order to achieve its mission. 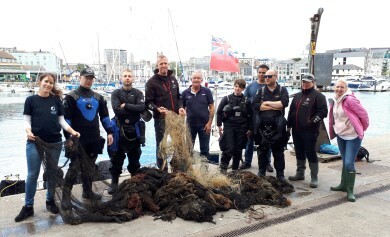 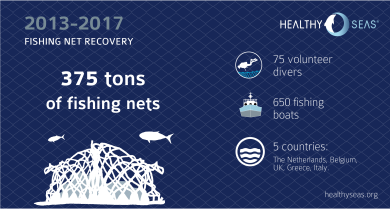 Namely, recovering ghost fishing nets from our seas (with the help of divers and salvage companies) and preventing that waste fishing nets will end up in marine ecosystems or in landfills (with the help of fishermen communities and fish farms). 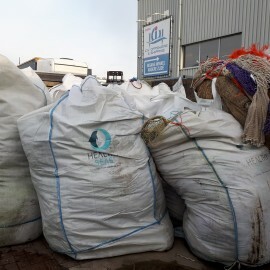 However, Healthy Seas is not only focusing on the collection of fishnets and recycling, but trying to achieve more: awareness raising about the problem of marine litter and the possible solutions; developing the right attitude among fishermen and other stakeholders of the fishing industry to become more sustainable in their operations. 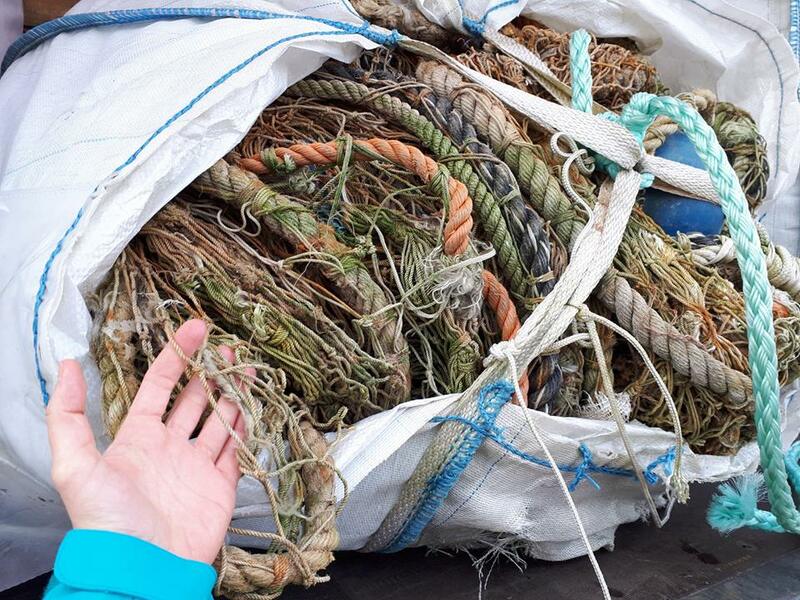 We work with fishermen while showing that they can be part of the solution and not the problem. 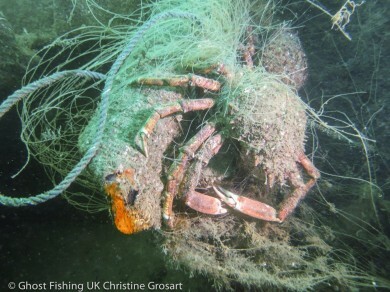 The lost or discarded fishing nets have negative impacts not only on marine wildlife and ecosystems, but also health, beach quality, navigational safety, and the economic well-being of states and fishing and maritime industries. 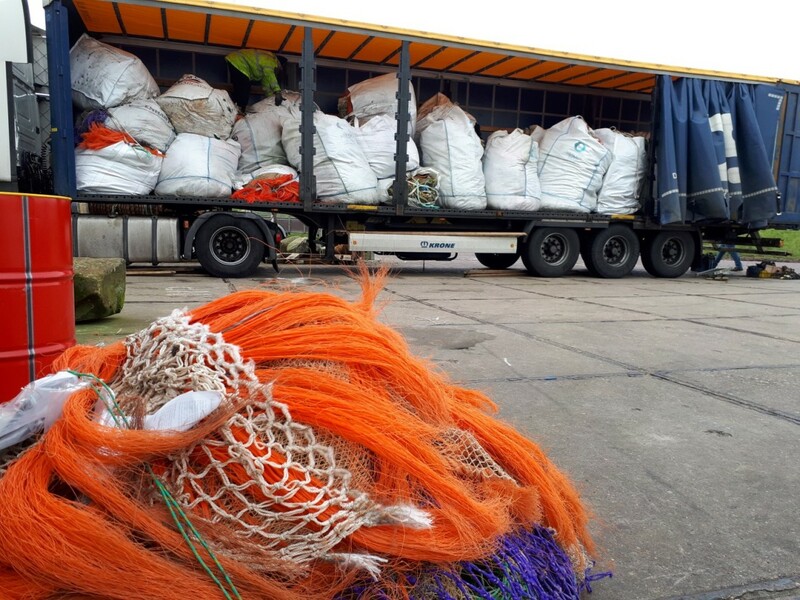 Share the post "New load of fishing nets sent to recycling"